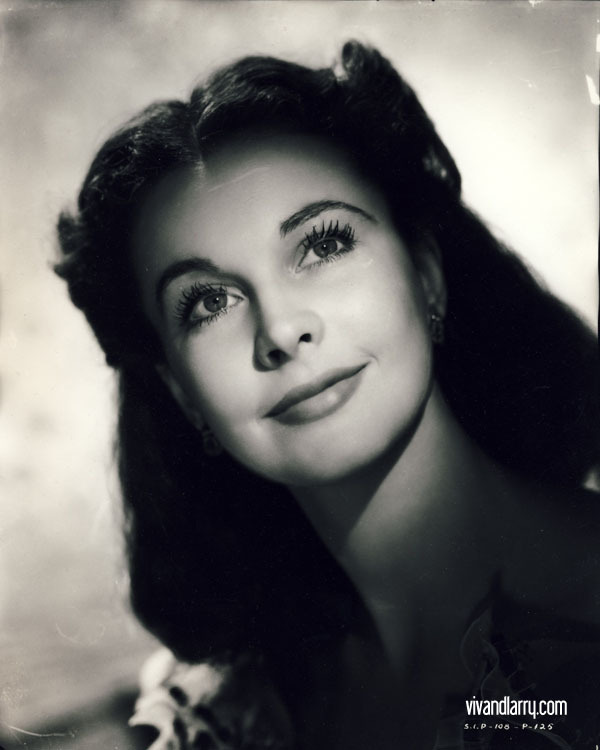 As you may have heard by now, TCM will be honoring Vivien Leigh by featuring her as Star of the Month in September. This is the first time since I’ve had TCM anyway (10 years or so?) that they’ve put her in the spotlight, and I’m so glad she’s finally getting credit where credit is due! Last November at the GWTW Re-premier event in Georgia, I got up the courage to approach TCM host Robert Osborne at the GWTW Museum after the autograph session, and I asked him why Vivien never gets a day on Summer Under the Stars. I mean, she was technically an A-list actor despite only making a fraction of the films her peers made, and some of the people they feature on SUtS are people I’ve never heard of (I didn’t say that part out loud). Well, he was very kind and said that TCM didn’t have the rights to enough of her films, and that when they wanted to show a film that was not in their library, they had to pay copyright fees. This made sense, but I wish that someday they could get enough of her films for a day on SUtS, mainly because I love the promos and the pre-film introductions they do for the stars being honored during the celebration. Despite not being able to feature Vivien on SUtS, it’s really exciting that they’ve dug up enough of her films to do a month-long tribute to her enduring screen legacy! Everyone has seen Gone with the Wind and Streetcar, so it will be a great chance for viewers to catch some of her eariler films, and to see how she grew exponentially as an actress on screen. 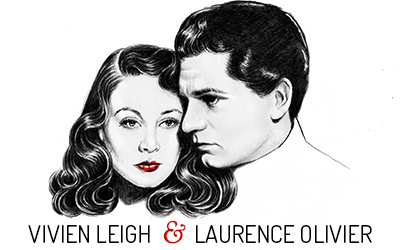 If you missed it, I had the opportunity a couple of weeks ago to speak with TCM’s Robert Osborne about Summer Under the Stars and Vivien Leigh. 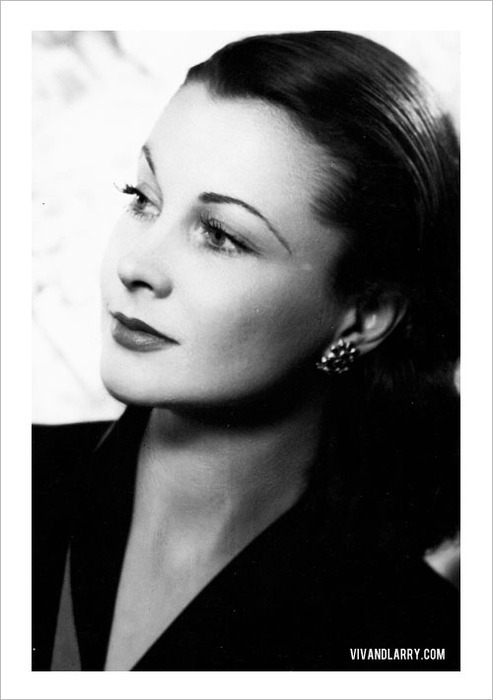 Vivien is one of his favorite actresses, and he has a lot of good/interesting things to say about her. You can listen to the audio or read the transcript here. For more information on the lineup of Vivien films being shown next month, and for a chance to win a copy of TCM Now Playing magazine with Vivien on the cover, check out the vivien-leigh.com blog. And now, I have a small request: I will only be in the States for the first week of September, and will miss most of the Vivien tribute. I’m guessing TCM will put together a short promo montage, as they do with every star of the month, and I would be absolutely tickled pink if someone out there could record it and upload it to youtube, so that I can watch it and feel like I’m part of the party! 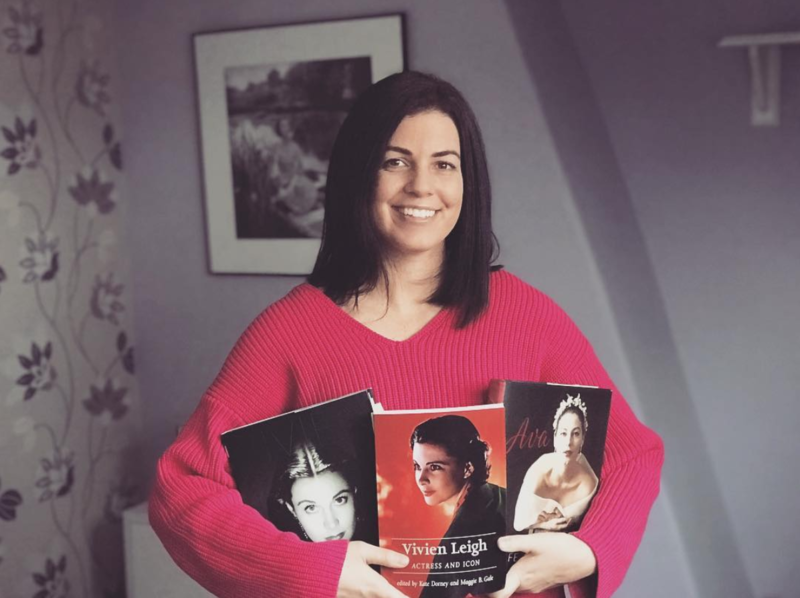 Not to mention the fact that Osborne will undoubtedly be doing intro’s and between movie commentaries on the nights that they run Vivien’s films…..
Of course! The intros are always my favorite part–I love learning trivia about films! That gif is the cutest! I’m so excited for her to be featured on TCM. I’m sorry you’re going to miss it! I wish I knew how to get stuff from the TV onto YouTube. I’m a complete dunce with that sort of thing. It’s a shame Viv can’t have her own day on SUtS. It would be so cool to have an entire day of Viv. They’ve had a lot of people that I’ve never heard of either (embarrassed) or sometimes I feel like they get repetitive. I love Walter Mathau, but it seems like he was featured just a few years ago. casee–i’m excited for her to be featured as well, and i’m like you, i don’t know how to capture things off my tv and put them on my computer. hopefully someone else out there does! i agree about suts, but at least she’s getting a star of the month spot because she never has before!